Here’s a new local spot to check out, especially if you’re a fan of cold brew or a good bowl of cereal. Yes, you heard that right. Joseph E. Coffee, opened in September of last year, is San Antonio’s first and only coffee and cereal bar. The business belongs to siblings Adrian and Isaac Cummings who decided to pursue the endeavor inspired by their grandfather Joseph E. who knew the important things in life were the simple ones, like a quality cup of coffee. The cost of a cereal bowl ranges from $2.50 to $4.00, depending on the size. Don’t be fooled though, despite the size, you can always try out new combinations: there can be up to two different cereals for the small bowl and up to four different bowls in the large one. 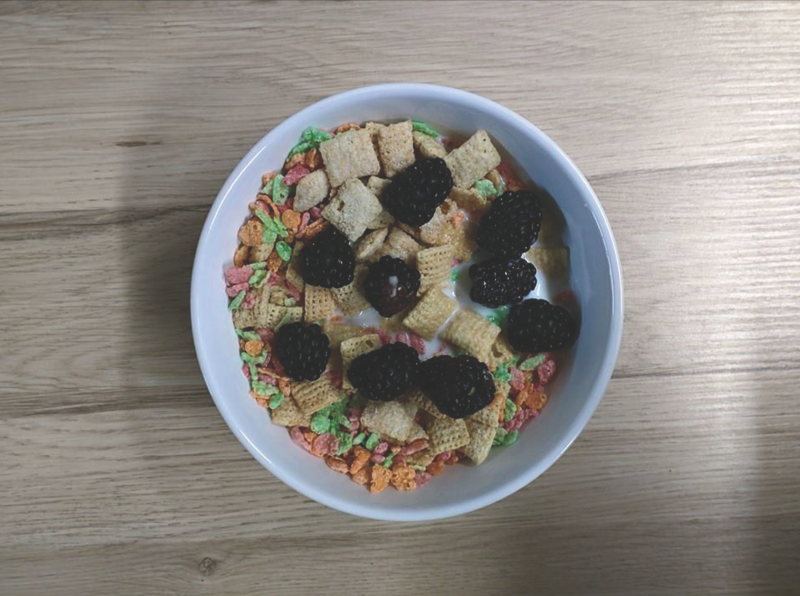 If you’re undecided, try out the house creations like the Adrian (Froot Loops, all berries, strawberry milk and strawberries) or the Southtown (Cinnamon Toast Crunch, French Toast Crunch with cinnamon, almond milk, and bananas). Personal recommendation? The Peanut Butter Captain Crunch, Cocoa Puffs and salted caramel milk combo. It is to die for. The variety of the menu isn’t limited to cereal. If you’re looking for your daily dose of caffeine, Joseph E. Coffee has got you covered. There’s six different brews with prices ranging from $2.50 to $10.00 with the most expensive one yielding enough for six people. There are nine different takes on espresso from shots to Red Eyes and Cortados, costing from $2.00 to $5.00. If tea is your drink of choice, then a San Antonio Fog (chai tea with a shot of horchata and a cinnamon topping) might do the trick. If you prefer your coffee cold then the Hayden (cold brew with chocolate coconut milk) or the Marble (cold brew, caramel milk and agave) are perfect for you. Regardless of the drink or of the cereal bowl, any item on the menu is sure to be of the highest quality. The three house blends all come from local roasters and the Cummings siblings make sure to keep them fresh. The beans are ground and the coffee brewed as it is ordered and at the end of the 90 day period, any remaining beans are donated to other local organizations. As for the cereal, the partnership Joseph E. Coffee has with HEB means fresh ingredients at the beginning of every week. Depending on how fast they run out, the occasional shopping trip occurs to keep bananas, strawberries and all fresh produce in stock. But a good menu is not the only thing Joseph E. Coffee has to offer their customers. As soon as you walk through the door of the establishment, it’s clear that the Cummings siblings are after something other than profit: a sense of community. The comfort of sitting down with a few friends or family to enjoy a game of monopoly while seeing who can eat the bigger bowl of cereal. Local artists can also find a place for themselves as the Cummings siblings welcome a new local artist every month. There is no cost to the artist and it is a great way for them to gain exposure. Local bands will get the chance to showcase their talent relatively soon as well. The siblings have more than one trick up their sleeve. The ambience includes a patio where local crafted beer is served in the evenings, a wallpaper made entirely out of cereal boxes, a cereal stocked food truck, and a cold brew sold in HEB’s within a five mile radius of the café. The local spot has big dream — and they’re on the way to achieving all of them. Joseph E. Coffee is located on 1111 S. St. Mary’s St. and they are open Tuesday through Thursday from 8:00 a.m. to 3:00 p.m., Friday and Saturday from 8:00 a.m. to 5:00 p.m. (ish), and Sundays from 8:00 a.m. to 3:00 p.m.